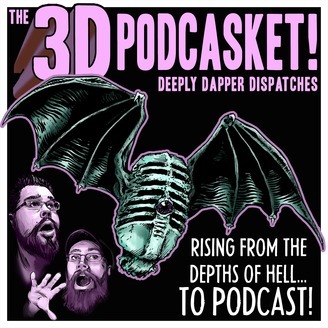 The 3D Podcasket is a HORROR podcast from Deeply Dapper Dispatches about kids from the 80's that grew into hairy horror hounds and fans of sci-fi, retro gaming, comics and geeky stuff like that. Each week we sum up the Nerd News, drink a few beers and review Horror movies, books, video games and everything else we dig. 3D also chronicles my travels to assorted cons across the western US as a con artist behind the table at Comic Cons, Board Game Conventions, RPG Tournaments, Anime Cons, Horror Conventions and pretty much anywhere they'll let me hunker down in an alley and sell. I also get together with my friends to drink a few beers and cover some geeky news, book reviews, movie reviews and recommends and whatever strikes my fancy. This week - the 80’s Italian Beastsploitation flick WILD BEASTS! We also discuss other “Animal” movies, Halloween 2018, Buster Scruggs and more! 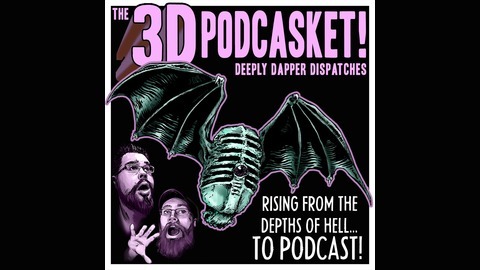 Deeply Dapper Dispatches 3D Podcasket is a podcast about kids from the 80's that grew into hairy horror hounds and fans of sci-fi, retro gaming, comics and geeky stuff like that. Each week we sum up the Nerd News, drink a few beers and review Horror movies, books, video games and everything else we dig. 3D also chronicles my travels to assorted cons across the western US as a con artist behind the table at Comic Cons, Board Game Conventions, RPG Tournaments, Anime Cons, Horror Conventions and pretty much anywhere they'll let me hunker down in an alley and sell. I also get together with my friends to drink a few beers and cover some geeky news, book reviews, movie reviews and recommends and whatever strikes my fancy. 3D can also be found on iTunes Google Play and Stitcher! Discuss this episode in Our Facebook Group! 3D 100 - The Top 100 Countdown! 3D 99 - I Love Wolfman's Nards!